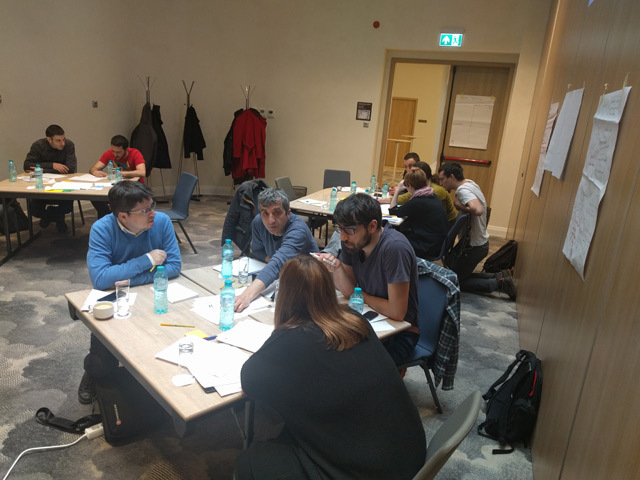 BIRN Hub, the organisational entity that manages the network’s regional projects and coordinates its work, organized project management training for its members in Bucharest, Romania, on March 2-4. Project management staff, administrative and financial personnel and some journalists met together to boost their knowledge about project management cycles. During the training, participants had a chance to improve their knowledge of project management cycles and, through interactive workshops, deepen their knowledge of project management and to learn how to contribute to it. The training session was also a chance to strengthen relations with BIRN Romania, especially for the newcomers to BIRN. The training was organized by Dusica Stilic, regional operations manager at BIRN Hub.